He is professional and he does the job properly. He manages to go through your tax situation in great depth and detail. He knows how to dig deep. He's professional and friendly. I've been using him for 10 years. Russell is professional, intelligent, knowledgeable, and accurate. I like that he's available to answer my questions, and I like that he's always very timely. Even though the news we received wasn't what we wanted to hear, at least he was honest with us. He was efficient, honest, and fair. When it comes to taxes, most people are willing to pay their “fair share,” but few want to pay more tax than they need to. Silicon Valley Tax Coach specializes in advanced tax minimization strategies for individuals and closely held businesses. 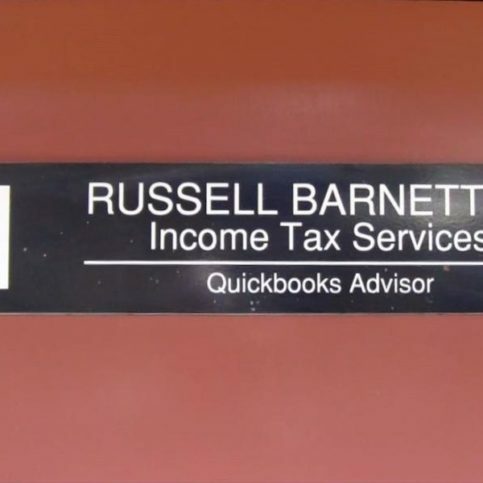 “I create a detailed plan to help each client navigate the ever-changing tax laws to find opportunities to proactively and legally reduce their tax burden, and I also help them file all necessary tax returns,” explains owner Russell Barnett, EA, CTC. An Enrolled Agent (EA) is the only tax professional licensed by the IRS to represent taxpayers. 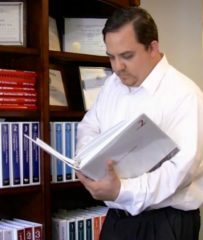 The Certified Tax Coach (CTC) designation is granted exclusively to those who have undergone extensive training in the latest strategies to legally reduce tax burdens while helping avoid “red flags” that invite government scrutiny. Mr. Barnett invites potential clients to schedule a tax discovery consultation to explore what options might be available to minimize their business and personal tax bills. 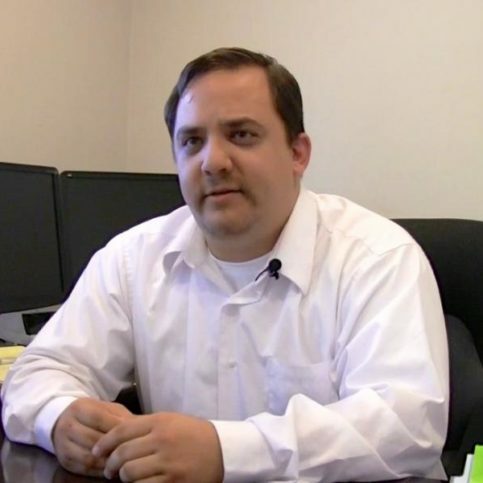 Russell Barnett reviews a client’s tax information. 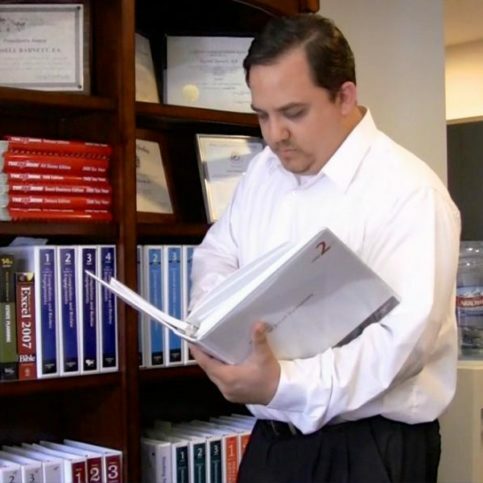 Silicon Valley Tax Coach works with clients throughout the United States to navigate the U.S. Tax Code, which is more than 60,000 pages long and contains more than 6 million words. Owner Russell Barnett, EA, CTC says most people don’t have the time to read something that big and complex, and with dozens of changes implemented each year, the government doesn’t make it easy to understand. As an enrolled agent—the only designation that’s granted straight from the IRS rather than a state-appointed board—Mr. Barnett says he has the knowledge and experience to ensure clients’ tax returns are prepared correctly and the legal authority to represent them during an audit. There are four types of tax preparers in California, so it’s beneficial to know their specific areas of expertise before hiring one. First are the California Tax Education Council (CTEC) preparers, who are licensed by the state to prepare tax returns for money. CTEC preparers can’t represent just anyone before the IRS during an audit or other proceeding; they can only represent the people for whom they’ve prepared returns. While some CTEC preparers can handle ordinary returns without incident, their licensing requirements are the easiest to meet, and they generally have less expertise than other types of professional preparers. The next two types of tax preparers licensed by California are lawyers and certified public accountants (CPAs). Unlike CTEC preparers, lawyers and CPAs can represent anyone before the IRS, even people whose returns they didn’t prepare. Additionally, lawyers can represent their clients in tax court. While tax lawyers and CPAs often become experts in tax law and IRS regulations, their education and training is more general, and they often perform services unrelated to tax return preparation. The final type of professional preparers is enrolled agents. This is the only class of preparer that’s licensed by the U.S. Treasury, as opposed to being licensed by the State of California. Enrolled agents are either former IRS employees or have passed a rigorous exam and must meet annual continuing education requirements. Like lawyers and CPAs, they can represent anyone before the IRS. But unlike lawyers and CPAs, the training enrolled agents undergo is exclusively related to the tax code. Regardless of what type of tax professional you choose to hire, avoid any preparer who attempts to charge you a percentage of your refund on an original return—that’s illegal. Additionally, the IRS recommends you choose a preparer whom you’ll be able to contact and who’ll be responsive to your needs. Ask who’ll actually prepare the return before engaging their services. Avoid firms that might delegate your work to someone with less training. You should know exactly who works with your tax matters at all times and how to contact him or her. Determine if the preparer is exporting your tax return to a foreign country for preparation. Foreign countries don’t have the same security and privacy laws as the United States, nor is there any recourse should your information be compromised as a result of lax or nonexistent privacy procedures. Remember, regardless of who prepares your tax return, it’s the taxpayer who’s ultimately responsible for its accuracy and will incur any penalties or interest resulting from errors. Q: What’s an enrolled agent? A: Unlike lawyers or accountants, enrolled agents specialize in taxation. Throughout the year they advise, represent and prepare returns for individuals, partnerships, corporations, estates, trusts, and any entities with tax-reporting requirements. In California, for example, more than 4,000 members of the California Society of Enrolled Agents prepare almost 2 million tax returns each year. An enrolled agent’s expertise in the constantly changing field of tax law enables them to be an effective representative when taxpayers are audited by the IRS. Q: How does one become an enrolled agent? • Pass a difficult, two-day examination given annually by the IRS that covers taxation of individuals, corporations, partnerships, estates, trusts, procedures, and ethics. • Be an employee of the IRS for five years, regularly applying and interpreting the provisions of the Internal Revenue Code and regulations. Of all the individuals who take the examination, only one-third receive a passing mark. Then, they can apply for enrollment and subject themselves to a background investigation. In addition to the stringent testing and application process, enrolled agents are required to earn 72 hours of continuing professional education, reported every three years, to maintain their status. Because of the difficulty in becoming enrolled and maintaining enrollment, there are fewer than 34,000 enrolled agents in the United States. In contrast, there are about 375,000 certified public accountants nationwide. Q: Do I need to hire a professional tax preparer? A: If you’re confident that you can prepare an accurate tax return on your own and can devote the time needed to prepare an accurate return, then no. But if your tax situation is sufficiently complex that you’re not confident of your ability, or if you don’t have the time, then you should hire a professional. A: It depends on the complexity of the return and the amount of time I need to spend on it. I don’t have specific hourly or by-form rates. Each return is an individual case. Q: How long will it take to prepare my return? A: That depends on my work load. During tax season, my general commitment is to have the return prepared within two weeks of the date I receive all the information. If it’s a return complex, it might take longer. A: I have a BS in accounting from Golden Gate University and have been an enrolled agent since 2004. I’ve prepared thousands of tax returns, and I work on them year-round. Q: Are you available for consultations about changing tax laws? A: Yes. I encourage my clients to call me if they ever have questions about their tax situation. I rarely charge for such calls, unless the question is so complex that it requires extensive research on my part. In those cases, I’ll tell you in advance. Russell Barnett, EA stays up-to-date on the latest tax laws. Russell Barnett, EA offers consultations in a private office. Russell Barnett, EA offers personalized, friendly service. 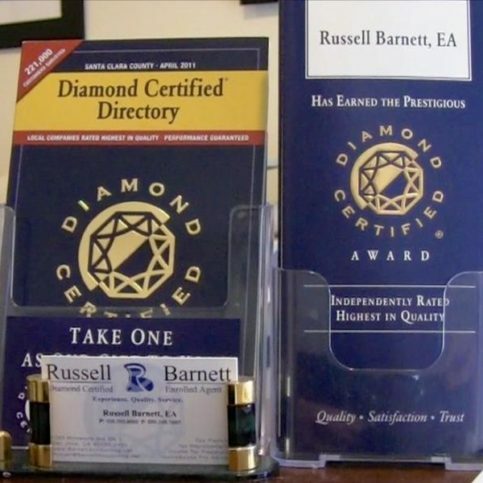 A variety of consumer information is available at Russell Barnett’s office. Outside of work, Russell’s life centers around activities with his young children, but he still makes time for music and enjoys playing the ukulele. When asked how he might spend his retirement, he says he hasn’t considered it much since it’s still decades away, but he imagines he’ll spend more time playing the ukulele, enjoying his family, volunteering and helping out around the house. A: Neither. I get my caffeine from Diet Coke. Q: Do you prefer to read fiction or non-fiction? A: Fiction. I tend to skew toward the fantasy genre. A: Kubota in San Jose. A: I was a foreign exchange student in Japan for six months in high school. By the time I left, I could speak Japanese pretty well, but I’ve definitely fallen out of practice. It’s important for taxpayers to monitor their withholdings throughout the year and be certain that neither too much nor too little is being withheld. If you receive a payment in the form of a bonus, commission or stock grant, be aware that these items are withheld federally at 25 percent. Depending on your tax rate, that may not be enough to cover the amount due. Thankfully, there are numerous online tools that taxpayers can use to monitor their withholdings and calculate how much money they may owe at the end of the year. For both small business owners and individuals, I recommend finding a record-keeping system that works for you and sticking with it. You’ll want to review your finances and gather any necessary documentation about once a month. Doing a little bit of regular financial organization throughout the year reduces the likelihood of making mistakes and eliminates the stress of getting everything together at the last minute. 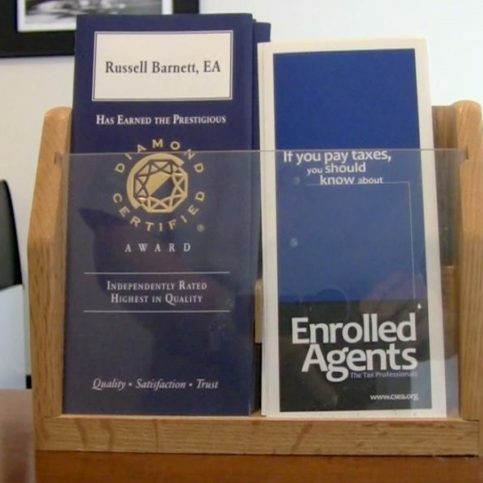 Diamond Certified Expert Contributor, Russell Barnett: I wanted to talk about withholding. To pay attention to it throughout the year; make sure that you’re not having too much or too little withheld. Nobody like a big surprise at the end of the year in terms of a tax bill. People should be aware that, oftentimes, lump-sum payment or payroll items such as bonuses, commissions, stock grants, etc. are only within federally at 25 percent. Depending on where your tax rate is, that may not be enough withholding to cover the actual tax due on the income. So, it’s important to plan ahead and make sure that you have enough set aside to either make an estimated payment or pay what’s due when you file your tax return so that you don’t end up in a crisis at the end of the tax season. The other thing I wanted to mention was record keeping. Especially for small businesses but also for individuals. I recommend finding a system – whatever kind works for you – that you’ll actually use and just stick to it and do it once a month or a couple times throughout the year, rather than waiting until the end of the year to try and jam everything together. I believe that that, in my experience, cuts down on mistakes and it also is easier to come up with a smaller chunk of time to do things throughout the year than it generally is to do everything all at once, which can take several hours. Taxpayers should be always aware of their withholding and make sure that they’re having enough withheld but not too much. There are tools online that you can use to evaluate that. Also, for record keeping, I always recommend that you find a system, make it work for yourself and do it throughout the year, whether you’re a business or an individual. That way, you’re able to keep things fresh in your mind and also be able to do things in a smaller chunk so it’s a little easier to come up with the time to do it. Silicon Valley Tax Coach : Average 9.3 out of 10 based on 290 unique customer surveys of customer satisfaction. He is competent and informative. He is someone you can always count on. Responsive, very accommodating and I was very happy with his service. He is knowledgeable and his responsiveness and integrity. He is able to take bad information and put it in the best possible format for taxes. In other words, take mistakes I have made, correct them and make them right. Superb service, for all tax matters he is the go-to man. He is prompt, fast and knows what he's doing. His memory is very good. He is efficient and great advisor. I have recommended him to others. I would refer him. We only used him a couple of years, but I liked him. He's great. After the initial meeting, we did most everything else electronically and he was always professional, open, relaxed and asked questions I didn't even know I wanted the answers to. When I had questions, he always got the answers, very easy, simple, and responsive. The first time I went to him, there was a piece of my history he missed and I missed it. As soon as we both realized it, there was no defensiveness, no excuses or blame. It was simply, I made a mistake and I am going to fix it. I would send anyone with any tax problems or tax needs to him. Responsive, and he answers your questions. He can answer all your questions, great expertise, I could drop in at any point and he would answer all of my questions. He was available, friendly and helpful. He has great integrity, personable, understandable, has a lot of other resources if you need them, just an all around good guy. I don't normally do surveys , but I will do it for him. I used him under his previous company name. I would recommend him. Great tax preparation, good advice, knows angles and new tax rules. We will be going to him again this year. He knows his stuff and he is very easy to work with. He is very focused on your needs and questions you may have. He is responsive and knowledgeable. Just the fact everything was electronic, it made it so easy.